Donald Trump has selected Republican congressman Tom Price as the next Secretary of Health and Human Services. 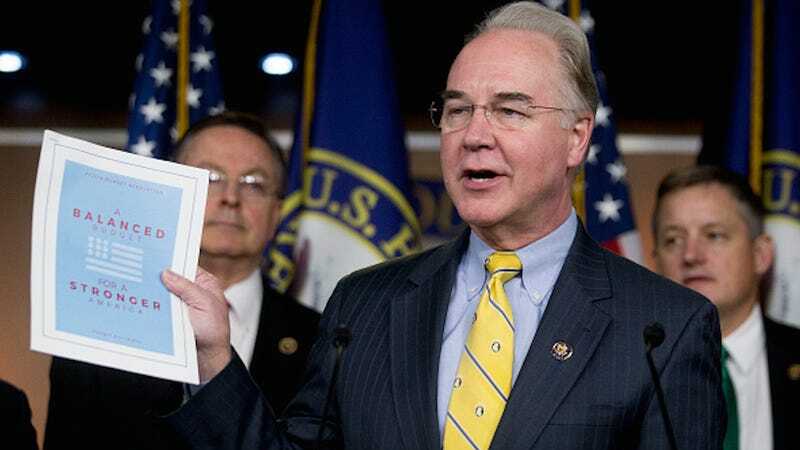 Price, the chairman of the House Budget Committee, is known in Washington, D.C. as one of the Affordable Care Act’s most vehement critics. The Washington Post reports, via an anonymous source, that Trump’s decision to appoint Price was finalized on Monday night, and it may be announced formally on Tuesday. An orthopedic surgeon representing a suburb of Atlanta, Georgia, Price has already assisted in drafting replacements for Obamacare. Although Trump looked more favorably upon the ACA after meeting with President Obama, choosing Price to helm HHS suggests that he might—unsurprisingly—be oscillating in his position. Price remains in favor of replacing the legislation, and his position affords him new influence. Price is a veteran on Capitol Hill who has served six terms in Congress and is cozy with House Speaker Paul Ryan. Previously, he has supported the de-funding of Planned Parenthood, making him an unfavorable choice for those of us invested in reproductive rights. Indeed, abortion activists are already censuring Trump’s decision to add Price to the Cabinet. In 2006 he also voted to define marriage in the Constitution as a union between one man and one woman, and in 2007 voted against prohibiting job discrimination based on sexual orientation. He also participated in the Tea Party Movement. Yikes. You can read about Tom Price’s positions on other major issues here.